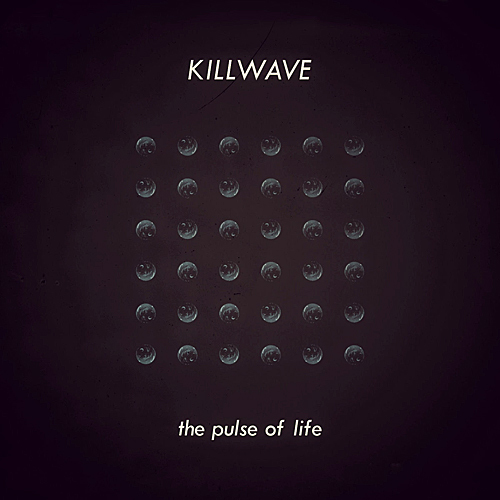 With the band’s third album The Pulse of Life due to be released on April 13, Chicago electro/post-punk band Killwave unveils the track “A Plastic Man” as a ReGen Magazine Exclusive, offering audiences a special preview of what the album has to offer. 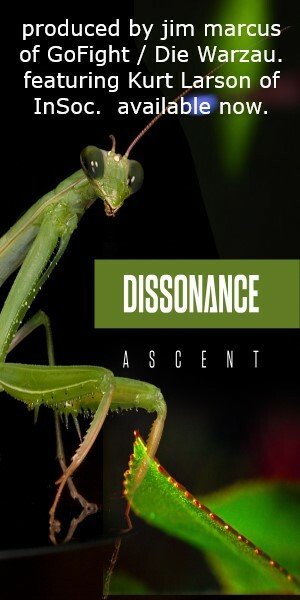 Blending elements of darkly melodic rock and electronics, Killwave delves deeper into the band’s ’80s roots with a ’90s production edge with this new album, with “A Plastic Man” serving as a prime example. 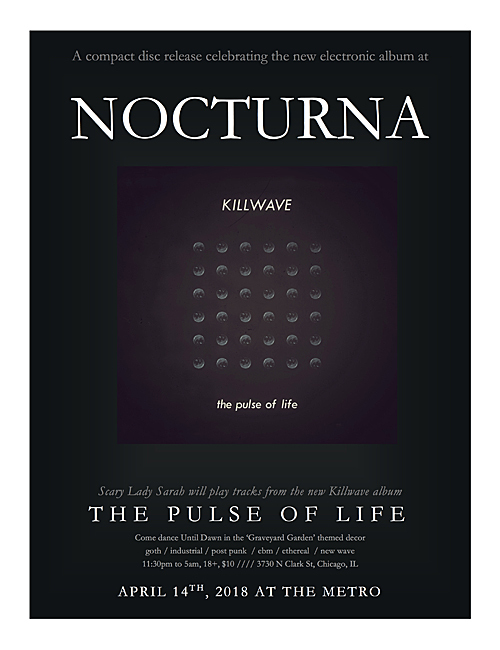 Also to celebrate the album’s release, Killwave will be hosting a CD listening party on April 14 at Metro Chicago’s Nocturna. DJing the event will be the legendary DJ Scary Lady Sarah, spinning several tracks from the new album, along with her usual blend of goth, industrial, new wave, EBM, and everything in between. As well as Killwave’s The Pulse of Life, the William Faith produced Chandelier – the long awaited third album from goth/rock band Autumn – will be offered in a special CD giveaway. Further information on the event can be found on the Killwave website and the Facebook event page. 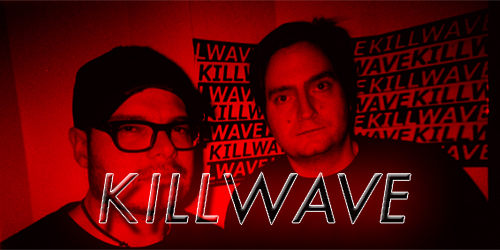 Comprised of vocalist George Pinto and musician Jim King, with Bran X serving as live drummer, Killwave released its self-titled debut album in 2010, followed by 2015’s Death By Distortion.